I'm new to the watch game, but a keen learner! I am looking to buy an affordable watch. I very much like the classy look and black dial available from both the orient bambino and the tissot visodate. My question is this: Which would you choose? Orient seems to have great following on this forum, but is it better to buy a tissot which is a little more expensive, but a swiss watch? In my opinion, both look great. Looking for advice on what to look for, which is better value for money, and also your opinion. Bambino is more classic while visodate mixes with some modern elements. Both are good watches. chirokev and Spirit of the Watch like this. 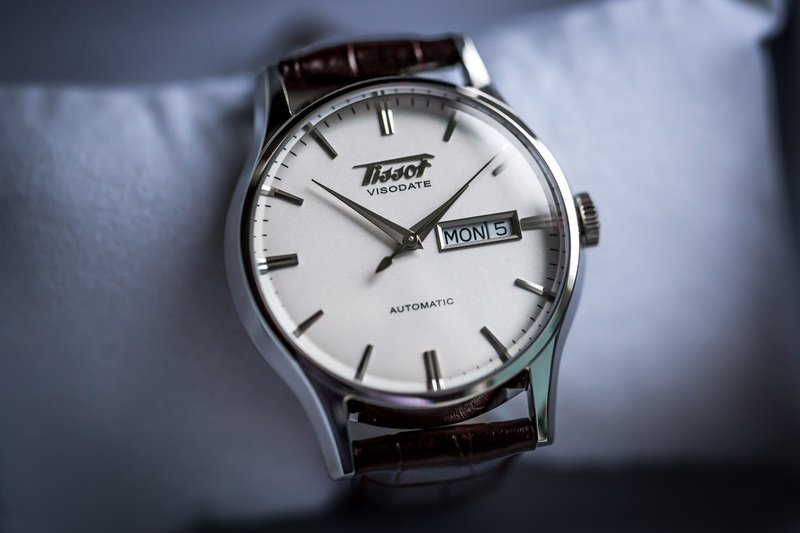 Both are very nice watches, the Tissot may be a little better regarding overall quality, but the Bambino surclasses it in terms of bang for your buck. I think I'll choose the Bambino because the Tissot is "chunkier" and sits higher on your wrist, while the Orient can be very easily slid under a shirtsleeve. Then there's the face thing, the logo in the visodate looks too obtrusive for me, while the orent logo looks more classy and understated. 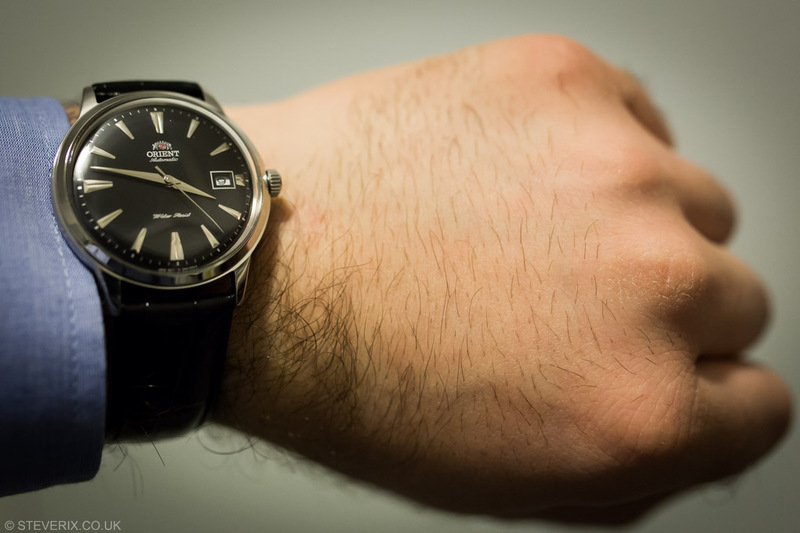 In the end I think it boils down (as ever) to personal preference, but if I have to give advice I'll say go with the orient, you won't be disappointed, and with the money saved you can buy a secondo watch, maybe sportier, to cover all the basics. chirokev, Harrison_Grant and JP71624 like this. 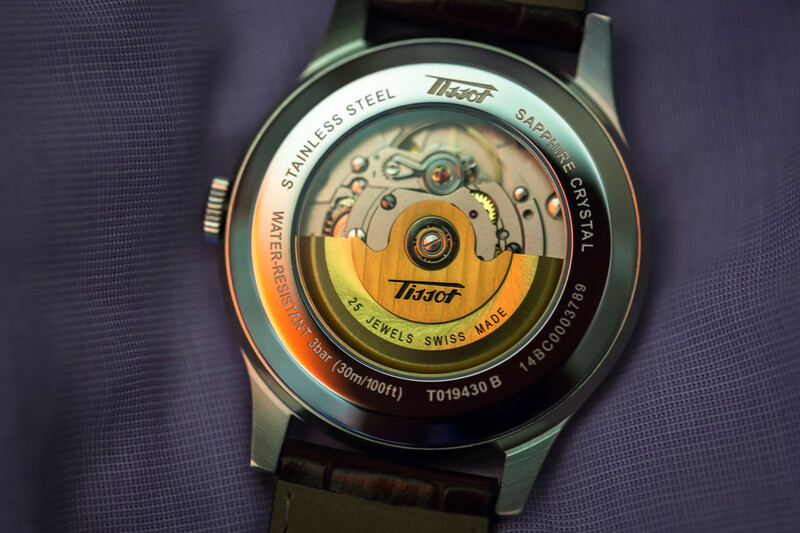 I'm not fond of the steep, large sides that the Tissot has. If they had been decorated in some way, it'd be good, but as-is, they are too... monolithic... for my liking. Therefore, the orient would be my pick. chirokev and RSDA like this. Both would be good purchases and are very well respected on this forum. It probably comes down to personal preference. Do you prefer the curvier, more classic Bambino design or the more robust Visodate which mixes modern and classic elements? For me, the Bambino wins. It's great value for money and that domed crystal will give you lots of joy, particularly as it, along with the silver indices, will play with light during the evenings. I put the Black Bambino on a Hirsch Duke strap and it feels like a much, much more expensive watch. I agree with the above, it feels great under a dress shirt. 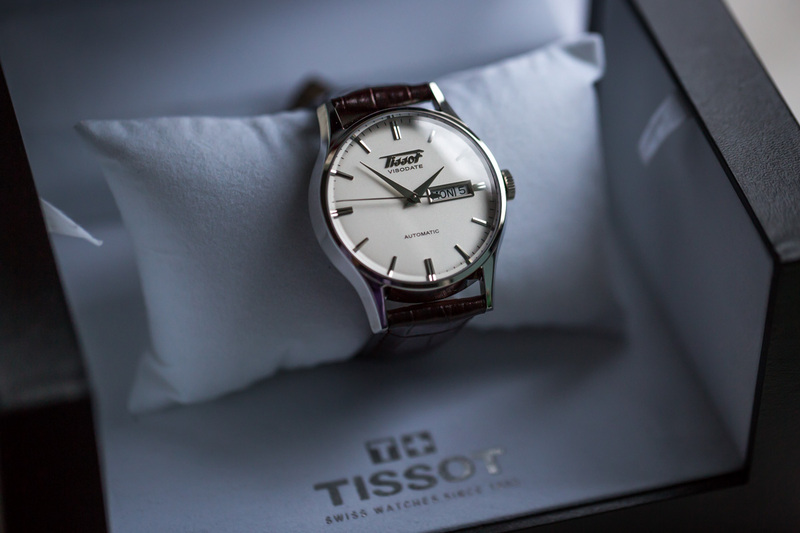 The Tissot brand carries more cachet, but for me has to be the Bambino. Both are very nice watches but the Visodate is bulkier than the Bambi. On the minus side for the Orient the Tissot is a better watch and is the one that I went for in the end. Perdendosi and Spirit of the Watch like this. Personally based on looks, I would go for the Bambino. Although I do not own any of the 2, I have 2 watches with domed crystal and it is just beautiful to look at. To me, it takes the extra mark for looking classy. 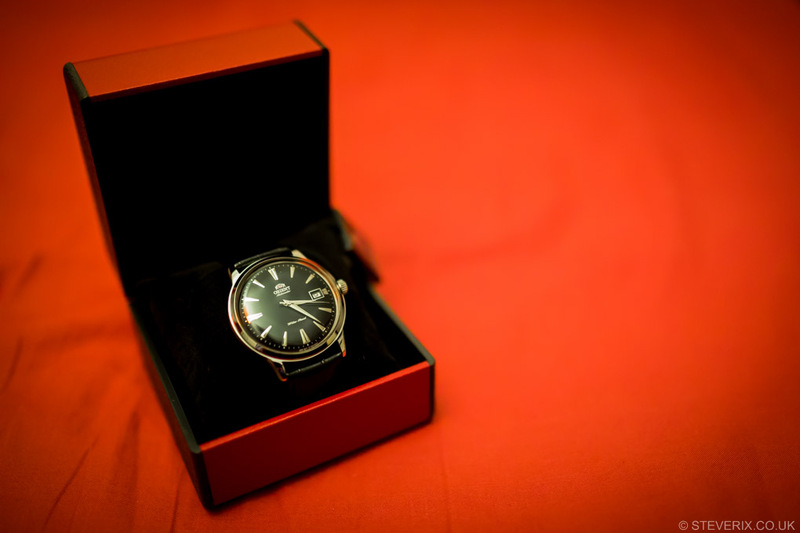 Can't go wrong with value too with Orient watches. I own both. A black Orient Bambino MK1 and the Tissot Visodate which I received this Monday. Firstly, the Bambino. It offers incredible value for money. It's elegant, classy and that large highly raised dome glass looks uniquely incredible. Despite that large dome it wears thin and has no problem being worn in a dress situation with a suit, where it will slip right under the shirt cuff, as it should. There are some areas where the Bambino could be improved, a nicer strap would be one of those and the machining of the case, especially around the crystal IMO could be a little better. But that is no major criticism as the Bambino is a lot of watch for the money. Anyone that requires an affordable dress watch needs to look at the Bambino. 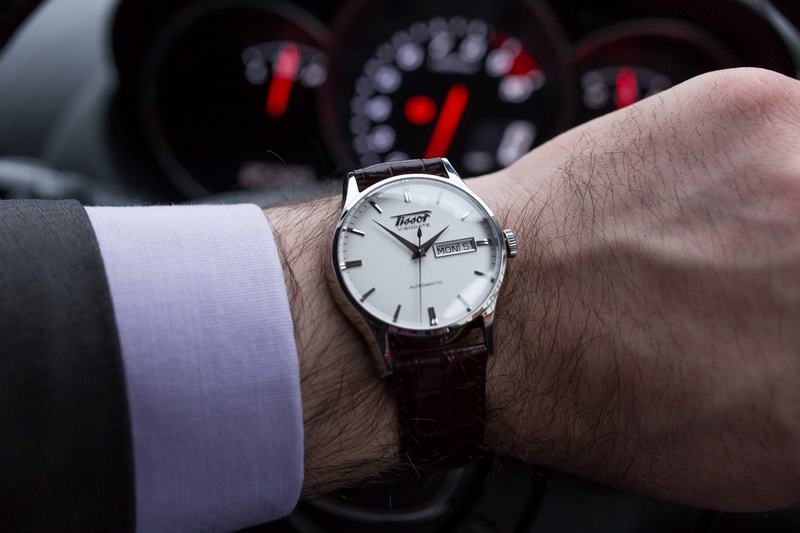 The Tissot Visodate is another calibre of watch. Both cost wise and quality wise. At roughly three times the cost of the Bambino, it's an interesting comparison you'd like to make here. But they are both very dressy and minimalist, so I can see where you are coming from. The Visodate is leaps and bounds above the Bambino in all aspects. Far nicer strap, sapphire crystal domed (which looks aboslutey stunning! ), ETA Swiss movement, it feels many steps up from the Bambino. The level of detailing and machining on the face and case is just beautiful. It looks and feels like a better made watch. The crown for instance has a smoother turn and feel where as the Bambino feels 'cheap'.... it all just oozes quality. I really can't stop looking at it! People in my workplace must think I'm going mad! If these two watches are in your sights and funds are not a problem, then really you ought to be considering the Visodate over the Bambino. Not to say the Bambino isn't a nice watch, as it really is. It's incredible value for money and looks fantastic, I will still be wearing mine and I'm half tempted to pick up the white model. However, the Visodate is in a different league all together. Perdendosi, theinterchange, chirokev and 8 others like this. I think the Bambino looks like the better watch, but if I had the funds for a Tissot, I'd look at the Orient Star and Seiko SARB range. Having a Hacking/Handwinding movement and sapphire crystal is important to me, but I suppose it might not be for everyone. sduford and rseto06 like this. Tissot visodate seastar PR 516 GL or orient star standard date DV 02003W ? Orient Bambino auto vs Tissot Tradition quartz?